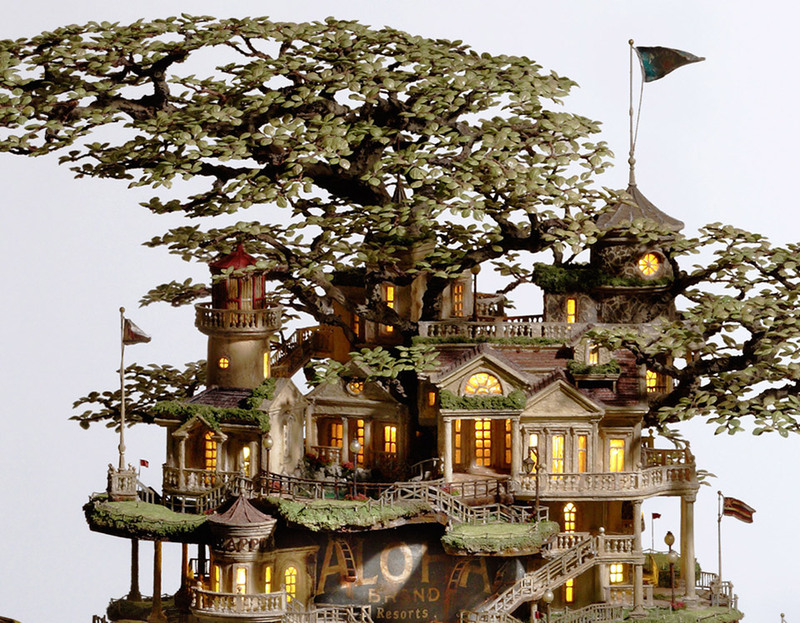 Artist Takanori Aiba has elevated the art of miniature sculptures to a new level. 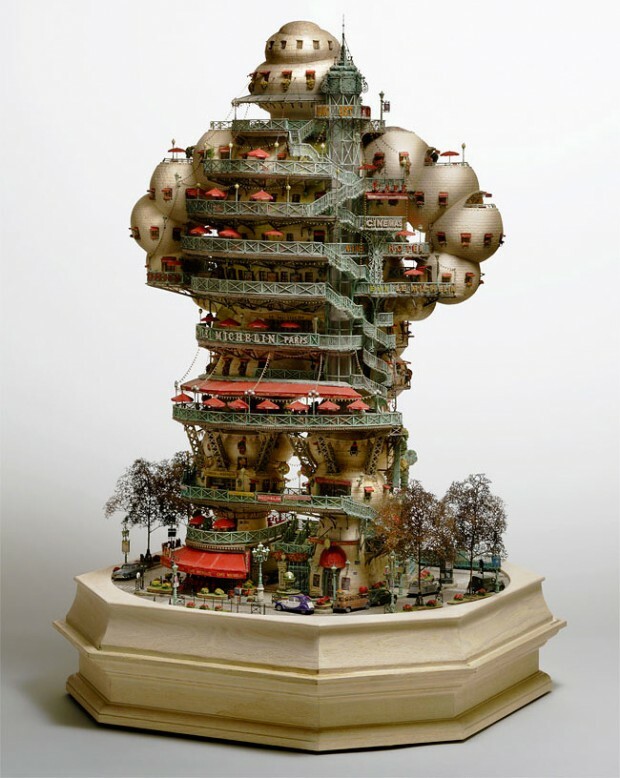 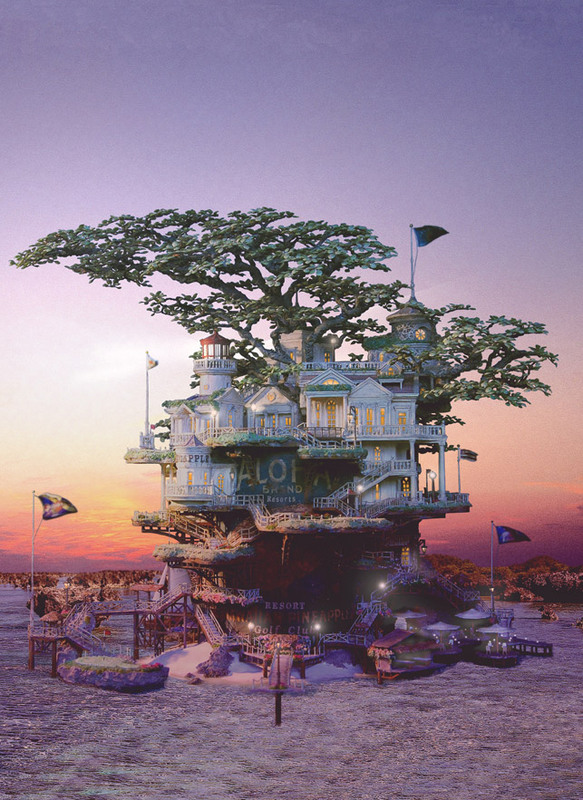 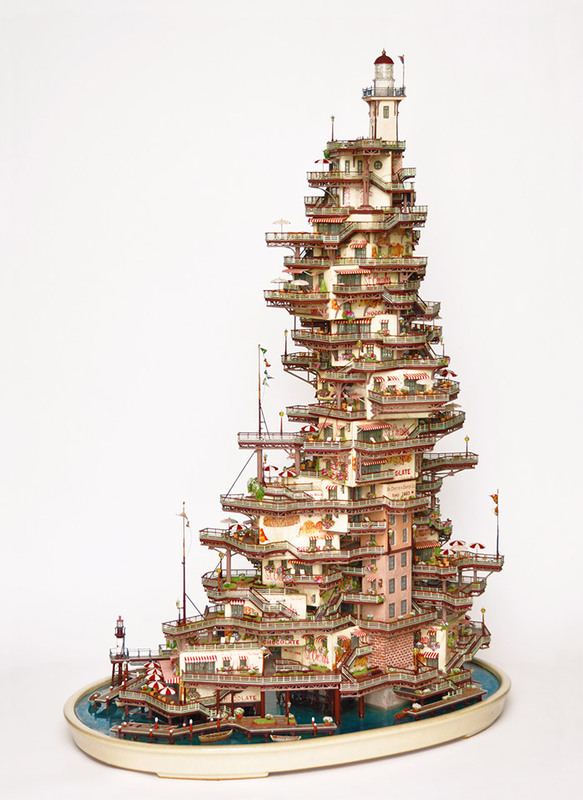 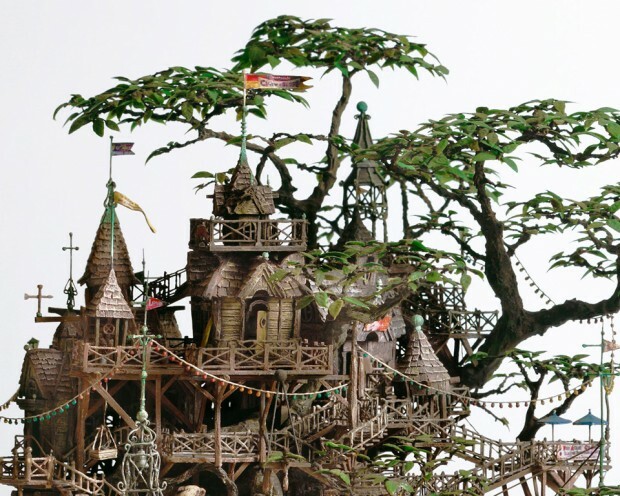 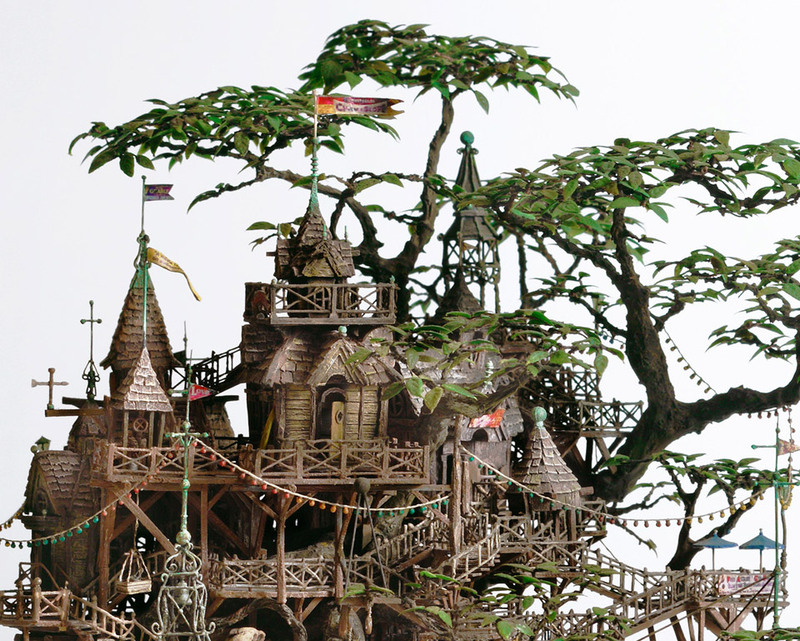 His intricate structures replicate dreamlike architecture, complete with tiny vehicles, umbrellas, street lamps, flags, and other details. 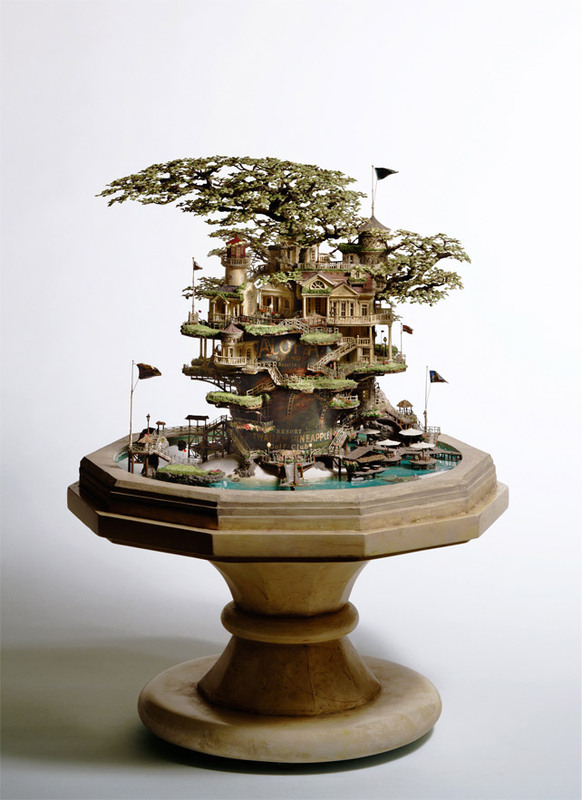 Takanori crafts his models from paper, plastic, acrylic resin, paint and rocks. 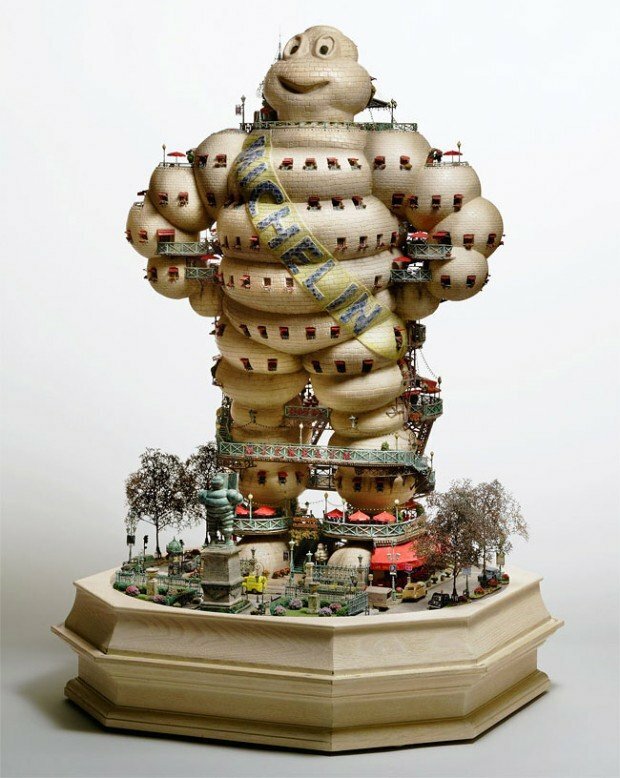 The iconic Michelin man sculpture is my favorite, though at those proportions, he reminds me a bit of the Stay-Puft Marshmallow man. 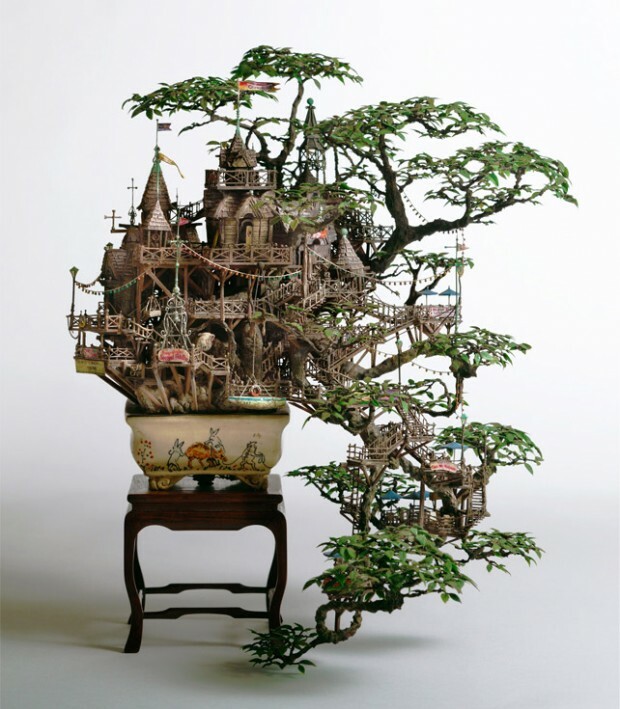 While many components of his models stand alone, Takanori leverages bonsai plants to form the basis for much of his architecture, weaving his miniscule staircases around plant structure. 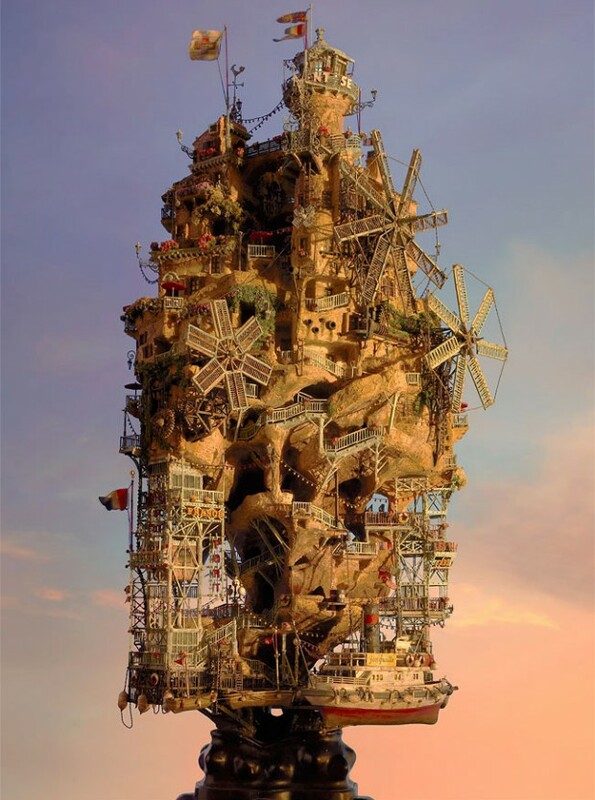 Be sure to head over to Takanori’s Flickr album for more detailed images of his sculptures.